Ferguson and the Festering Wounds of Structural Inequality – Adam M. Butz, Ph.D.
On Saturday, August 9, 2014 unarmed African American teenager, Michael Brown, was fatally shot by white police officer, Darren Wilson, in Ferguson, MO, an inner-ring suburb of North St. Louis. Brown’s untimely death sparked outrage and protests among local residents, exposing long standing division and distrust between law enforcement and the minority community. Unfortunately, during the protests some episodic looting also broke out, especially following the grand jury announcement in late November. Nothing excuses the unlawful property destruction, but the underlying grievance and frustrations of the local community are justified. Many white people – and sadly many of my own family and friends – will focus myopically on the relatively small number of bad actors and dismiss the entire situation with a familiar, “see black people are just out-of-control.” The reflexive venom emanating from my Facebook feed guarantees the looters are squarely within the sights of white America, primed to represent African Americans writ large and define the entirety of the situation. The reinforcement of animalistic deviance in the black community is tucked away for safe keeping. Prejudices have been validated. If only they would pull up their pants, paths to equality, stability and prosperity would become obvious. “How could they destroy their own neighborhood?” From a naïve position of privilege, most white people are loathe to discover genuine empathy and nuanced understanding about the roots of anger bubbling up among minorities in places like Ferguson (and central-city Baltimore more recently w/ the death of Freddie Gray). After all, it would be unheard of for unarmed white teenagers to be harassed and brutalized by police in predominantly white areas like Town and Country, Chesterfield, O’Fallon and St. Peters. Why should we care? We should care because these riotous actions are couched within larger historical and environmental contexts that beg for deeper introspection and awareness. In short, there are deeper issues at play and much more to the story. If we can bridge vast divides and achieve genuine cross-cultural understanding, we can begin collective healing and constructive dialogue toward improving policies and societal conditions. Some fury directed at looters is justified but rarely, if ever, matched by concern toward the victims of police brutality and broader systems of discrimination and injustice that entrench minorities in a disadvantaged societal position. Yes, people are protesting in Ferguson because another unarmed teenager was gunned down by police. Yes, people are protesting in Ferguson because minorities are subjected to 93% of police stop and searches, but less likely to have contraband or guns. Yes, people are protesting because small North St. Louis County jurisdictions undertake predatory policing, issuing an unprecedented amount of tickets, fines and warrants. However, the protests also highlight deeper structural challenges and systemic inequality embedded in the black experience; ones that require greater recognition and sustained outreach from white America. Never mind the obvious sins of slavery and Jim Crow segregation that laid the historic foundations of white supremacy and enduring structural inequality. It took centuries for whites to merely acknowledge the baseline humanity of black people. From the Plymouth Rock landing until passage of the Voting Rights Act of 1965, America perpetuated a centuries-long system of overt racial apartheid that dehumanized and forcefully relegated African Americans to an inferior societal position. Literal chains were only to be replaced with separate drinking fountains, poll taxes, and lynch mobs, further solidifying the superior status of white identity. On one front, we should be proud of our incremental legal progress on racial equality, culminating in the Civil Rights Act of 1964 and Voting Rights Act of 1965, but we should not get complacent. We should refrain from applauding ourselves because we finally allowed minorities to eat at restaurants, own homes or attend college (of course, having the adequate resources and access to capital to own homes and attend college is another matter entirely and part of the larger story). In more recent times, urban America has undergone drastic transformation, much of which has been decidedly unfavorable toward minority inhabitants, yielding a renewed set of structural injustices in the 21st Century. 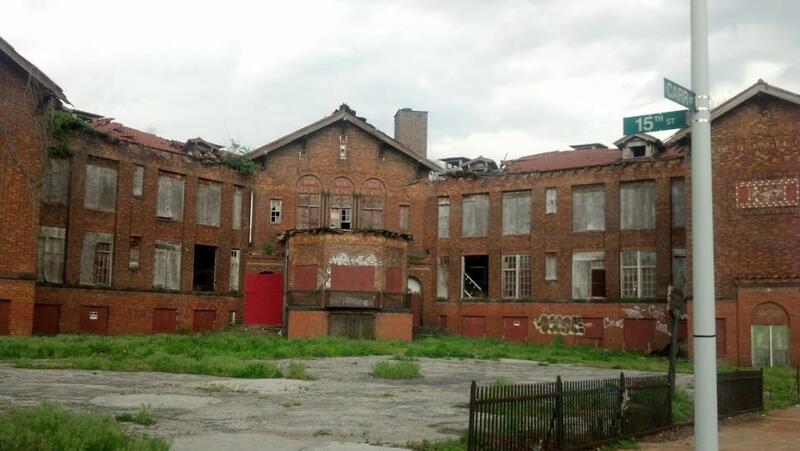 We are experiencing a “new world of the urban poor” as coined by preeminent sociologist William Julius Wilson. Over the past few decades, inner-city neighborhoods and inner-ring suburbs like Ferguson have become hotbeds of concentrated poverty, characterized by deepening social and economic isolation from mainstream America. U.S. cities have experienced unprecedented urban sprawl, reshaping the metropolitan landscape as a semi-permanent, overwhelmingly minority “underclass” disproportionately inhabit impoverished central-city neighborhoods and inner-ring suburbs, while a whiter, more affluent population inhabits outlying suburban and exurban areas. The exodus and abandonment from central-city areas has been staggering. For instance, the population of St. Louis City reached a zenith at approximately 860,000 residents in the early 1950s. Today, little more than 315,000 individuals reside within city limits, representing a 63% population decline. That bears repeating. 63% fewer people reside within STL city borders today, nearly 550,000 fewer than just a few decades prior! Most importantly for this piece, dramatic metropolitan reorganization has been allocated unevenly across socioeconomic and racial status leaving mostly poor minorities concentrated in the urban core and inner-ring suburbs of North St. Louis including Wellston, Jennings and Ferguson. Meanwhile, a whiter, more affluent population selectively clusters in outlying suburban and exurban locales like Town and Country, Oakville, Eureka, and exurban parts of St. Charles County like O’Fallon and St. Peters. 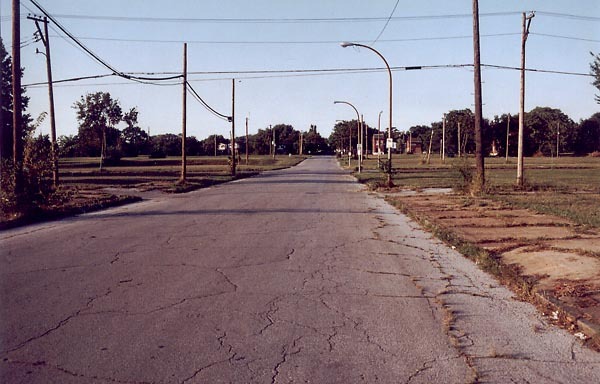 “White flight” from St. Louis’ urban core accelerated from the 1960s through the 1990s and continues into outlying locales as inner-ring suburbs, such as Jennings, Wellston, and Ferguson, increasingly experience abandonment and economic and social decay. How does the hyper-segregated “chocolate city, vanilla suburbs” dynamic come to exist? Through decades of exclusionary suburban zoning policies that completely disregarded low-income housing units along with racially restrictive “housing covenants” (i.e. legal contracts barring blacks from homeownership), neighborhood associations and local governments effectively barred minorities from migrating into newer suburban developments. 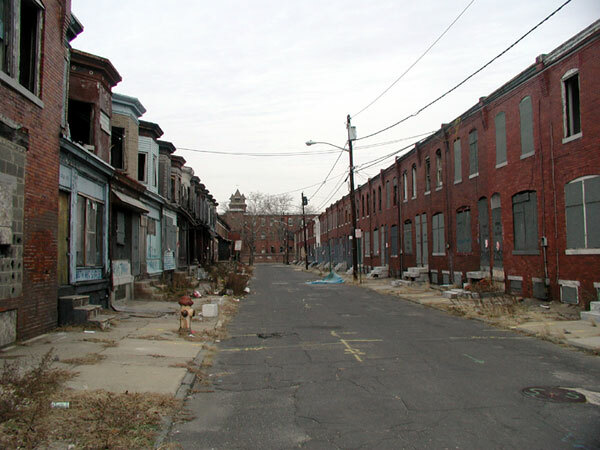 Additionally, banking institutions undertook discriminatory mortgage lending practices that “redlined” certain residential neighborhoods, refusing to grant loans to minority residents, and central-city areas of St. Louis – and many other rustbelt cities like Chicago, Baltimore, Philadelphia, Cleveland, Newark, and Buffalo – became methodically starved of social and economic resources and populated disproportionately by low-income minorities. Successfully acquiring suburban residency and the myriad contextual benefits of suburban residency – [quieter streets, greener spaces, fresher air, less crime, better schools and access to higher education, better connected job networks, better educated and connected neighbors, higher paying jobs, greater access to supermarkets and fresh foods, greater access to banks and financial capital, higher property tax base, etc.] – was (and continues to be) almost exclusively the purview of whiter and more affluent citizens creating the hyper-segregated metropolis we observe today. Massey and Denton’s seminal work, American Apartheid: Segregation and the Making of the Underclass,and Hilfiker’s opus, Urban Injustice: How Ghettos Happen, highlight the systematic cloistering of impoverished minorities into urban enclaves following the end of formal Jim Crow segregation in the mid-1960s. The “ghetto” as popularly conceived has been purposefully manufactured through discriminatory legal structures and selective residential opportunities favoring privileged white citizens at the expense of disadvantaged minority populations. Occurring alongside these developments, America has also experienced dramatic industrial restructuring, shifting the U.S. economy away from relatively high-paying, blue-collar occupations toward low-wage, low-security service sector opportunities, further cementing the alienated condition of those residing in distressed neighborhoods. The opportunity structure for all working class Americans has arguably become more limited and admittedly millions of white working class families are routinely struggling financially, mired in realities of low-wage retail and hospitality jobs. Those with high levels of skill, college pedigree and connections are doing exceedingly well in today’s economy, while day laborers without college degrees or Rolodexes increasingly confront headwinds to economic security. The working class is comprised disproportionately of racial minorities, thus economic restructuring and fading opportunity structures are felt most acutely in low-income minority areas. In turn, high-poverty neighborhoods are relatively void of immediate economic opportunity and community anchors, resulting in disorganized environments of relative instability and disarray. Civic organizations, rich social connections, and quality, high-paying jobs (and accompanying financial and social assets), the glue that binds healthy communities, are largely absent in low-income inner-city neighborhoods. These distressed contexts ultimately matter to the outlook and proclivities of behavior among inhabitants. Individuals growing up in high-poverty neighborhoods are continually reinforced with a sense of social exclusion and persistent overexposure to deviant norms and social cues. These citizens are hermetically exposed to relatively high levels of traumatic criminal activity and rarely digest mainstream expectations of college and career stability. Immediate opportunities are at fast food restaurants and convenience stores or in the underground economy, not accountancy and law firms. Inhabitants disproportionately observe drug dealers and athletes achieving financial success not doctors and engineers, ultimately shaping the perceptions, expectations and outlook of inner-city residents. When merely surviving the day becomes paramount, any notion of long-term investment and stability becomes completely foreign. It is the immediate ghetto environment itself, under-resourced people living almost exclusively alongside other under-resourced people, that fosters an underclass subculture that marinates within itself day after day, year after year, decade after decade. The adage that individuals are the “product of one’s environment” rings partially true and privileged whites need to do a better job acknowledging the ways in which distressed settings and external stressors can reinforce certain antisocial behaviors. There is a mythology that one has complete and total agency over one’s actions and fortune. Certainly personal responsibility plays an important role and we should remain highly critical of self-sabotage and self-defeating behavior, but the persistent exposure to external stimuli also shape individual perspectives and actions. How can we expect sainthood or mere collegiate aspirations and familial stability in an abandoned, chaotic war zone? Along with suburbanization and economic restructuring, a third structural phenomenon continues to fuel urban injustice in the 21st Century. Derived from the “Southern Strategy” of Nixon and Reagan that sought to garner the political support of disaffected Southern whites following the passage of the Civil Rights Act, America launched a discriminatory “war on drugs” waged primarily within depressed inner-city areas ultimately leading to the mass incarceration of young men of color. Michelle Alexander’s widely acclaimed The New Jim Crow: Mass Incarceration in an Age of Colorblindness meticulously documents the manner in which biased law enforcement – and broader criminal justice system – has lead to a new racial-caste system of disenfranchised minorities. It is no longer literacy tests and separate lunch counters, but rather muscular drug policies that animate today’s disenfranchisement. Although whites and blacks are found to possess and use drugs at similar rates, law enforcement eschews suburban cul-de-sacs and college campuses, targeting efforts surgically in low-income minority neighborhoods. It is poor African Americans and Latinos in ghettos and barrios that are routinely over-policed and feel the brunt of the drug war. In turn, many familial anchors necessary to neighborhood vitality are quite literally sitting behind bars. An estimated 2 million African American men are currently “missing” from homes and communities, vanished into the netherworld of prison cells and barbed-wire fencing. Once branded a felon, minority offenders face substantial barriers to successfully assimilating back into society. They are routinely discriminated against by potential employers and lose basic citizenship protections, such as voting rights and the ability to serve on juries and receive financial aid for educational purposes. Meet the New Jim Crow. In a similar vein, our local law enforcement agencies have become more “militarized” in the years following 9/11 with injections of heavy artillery and SWAT tactics, and the brunt of militarized policing is oftentimes felt (quite literally) among racial minorities in under-resourced areas. We saw this manifest in Ferguson when police rolled in with armored personnel carriers, sniper rifles and tear gas seemingly provoking the restless crowd while arresting members of the press, including Alderman, Antonio French. The recent eye-opening 105 page report from the DOJ confirmed many suspicions, unearthing widespread discrimination and egregious breaches constitutional rights and basic human dignity. Minority citizens of North St. Louis County live in a state of semi-occupation, consistently harassed and brutalized in an concerted effort to issue an unprecedented amount of tickets, fines and warrants. The goal is not to enhance public safety or build community bonds, but rather to extract maximum pain (financially and physically) from the citizenry in an oppressive moneymaking racket. Minority citizens of North St. Louis county effectively live under a punitive apartheid police state that seeks not to serve but to target and punish. Structural challenges faced by urban minorities are real and enduring and deserve attention and investment in potential solutions. Equality of opportunity, the platitudinal ideal of America, was always a cruel myth and remains elusive in the 21st Century. Yes, a modest percentage of the overly ambitious and actively mentored can beat the odds, but we should also work toward equalizing the odds! High-poverty neighborhoods in contemporary urban America were purposefully manicured through systems of white supremacy and discriminatory policies and practices of residential exclusion. This much is certain. It is no accident or random happenstance that poor minorities are neatly segregated into the most disadvantaged neighborhoods of urban centers. 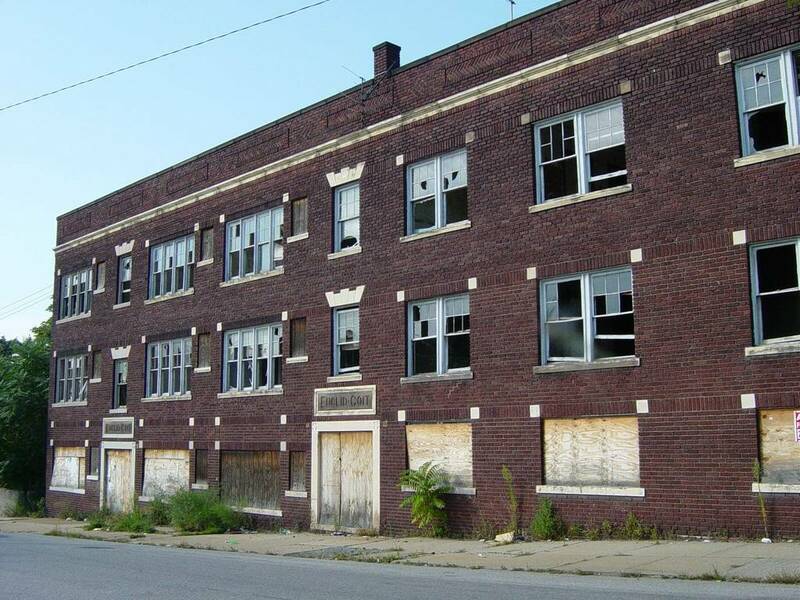 These distressed places exhibit a relative dearth of immediate economic opportunity and social organization and therefore tend to reinforce disorganized behaviors among underclass inhabitants. Reversing these trends will take broad awareness and understanding across the populace and willingness to more equitably allocate public resources across the metropolitan landscape. Prospective policy adoptions, including criminal justice reforms and targeted investments in infrastructure, education, jobs/apprenticeship training, and regional integration programs must be explored. These are our fellow citizens living on the margins of society amid the land of plenty and merely desire an equal voice in society. A voice they have never had. Roundly criticize the property destruction in Ferguson, but also be aware of the history of racial subjugation and systematic mistreatment that leads citizens toward mass unrest and bursts of protest. Attempt to see the wisdom in Martin Luther King Jr.’s famous words, “rioting is the language of the unheard.” After you’ve finished chiding the looters, make sure to save some invective for discriminatory systems that continue to disenfranchise and oppress our fellow humans. Wonderfully thoughtful piece by former classmate of mine, Dr. Adam Butz, on what has led to where we are now in Ferguson. Thanks for writing on this, Adam. I have been trying to make several if the same points in the conversations I’ve had with friends, family, and others. It’s refreshing to hear other people have similar thoughts and don’t want to just point the finger at looters and ignore the deeper issues at play. Thanks for the kind words, Tim, and thanks for reading my piece. Just found your blog, Butz. Excellent stuff. I’d just add that in desperately poor areas like you’ve described, it’s not just one more person behind bars, that’s another source of income, another avenue of child support. Incarcerating members your population does damage on multiple fronts. And as we’re seeing in Ferguson, shooting them in the street does damage on many more. Agreed, Sam. The drug war has been destabilizing to inner-city families in all of the ways you mention. I actually think criminal justice reform is one area in which there might be some policy movement. Fiscal conservatives, such as Rand Paul, are acknowledging the high costs of mass incarceration as a social control strategy (Rand Paul even acknowledges the racial disparity angle – the only conservative elite I’ve heard willing to acknowledge structural inequality when it comes to criminal justice policy). What’s the source for that first image? It immediately looked suspect to me. For one thing, St. Louis doesn’t have very many remaining row houses. Secondly, I’ve been on a project to bike every block in St. Louis and, while I certainly don’t remember every block I’ve seen, that looked like one I would recall. A quick reverse image search implies that it might be a photo of Camden, NJ. Provided some sources for you. I purposefully wanted a mixture of places represented in the pictures, not just St. Louis. That is the most familiar case, but similar conditions of suburbanization and inner-city abandonment exist across many American cities.